Rev. Tracy L. Cox ARE YOU A VENDOR? Rev. Dr. Tracy L. Cox, D.D. 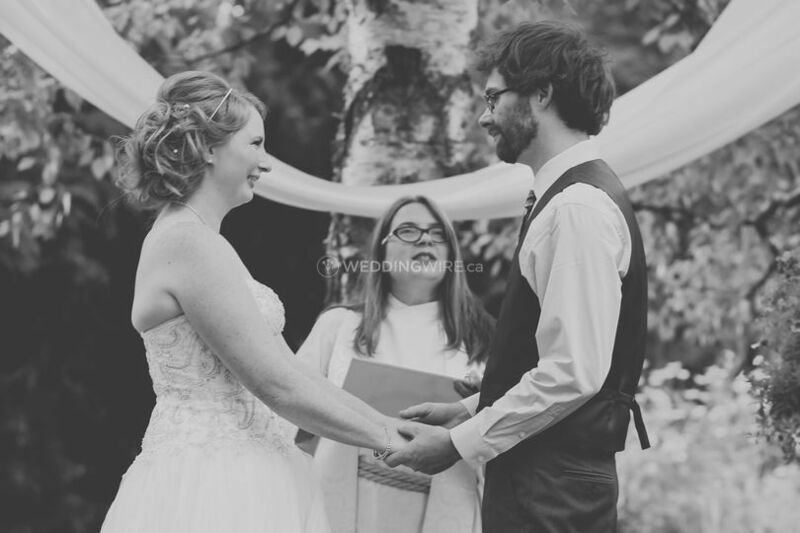 is a wedding officiant based in Aurora that specializes in joining the lives of couples in love in marriage, and every ceremony she performs is completely custom written to reflect your own unique form of spirituality. 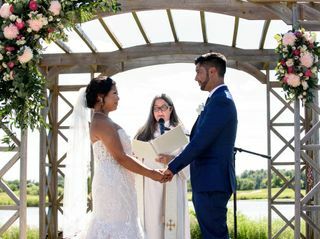 She is a caring and helpful officiant that believes in an organized and professional approach to performing ceremonies that bring two soulmates together for a life of happiness and eternal love. 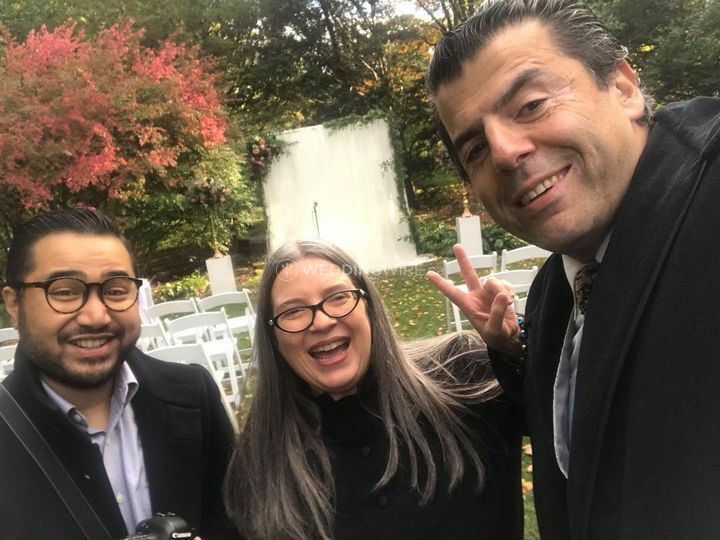 She has years of experience in adding interesting touches to your wedding, such as Handfastings, Dutch wedding box ceremony, and the Love Letter and Wine box ceremony, just to name a few. Anything that your imagination can dream, Rev. 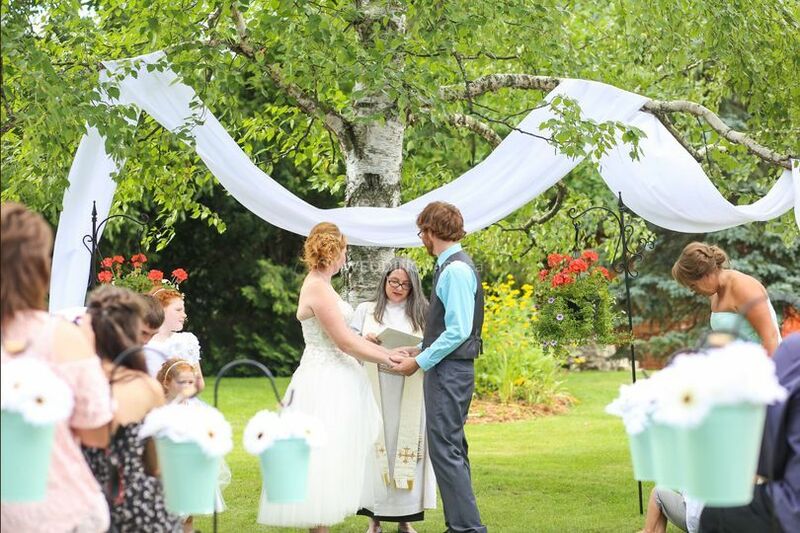 Tracy can help you integrate into your one of a kind ceremony. Always wanted your dog to be your ring bearer? 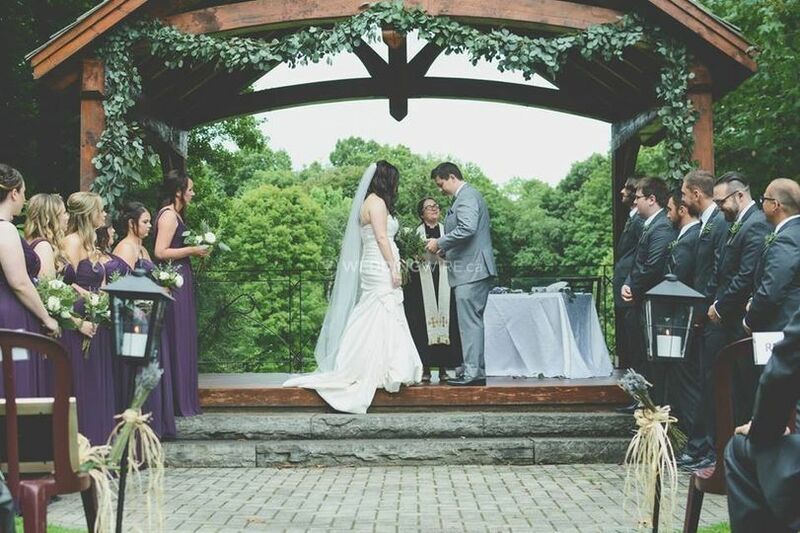 Have a trained owl or hawk deliver your wedding bands to the altar? 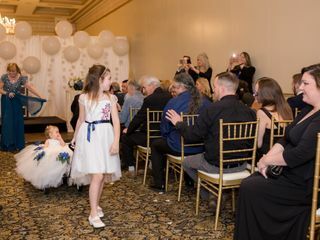 She has organized weddings like these over the past few years, and would be happy to help you create a one of a kind event to remember forever. Rev. Tracy also only books one wedding per day, so her time is not stacked, and you can rest assured that you will not be rushed. Her services are also fully insured by Wedding Rescue. Rev. 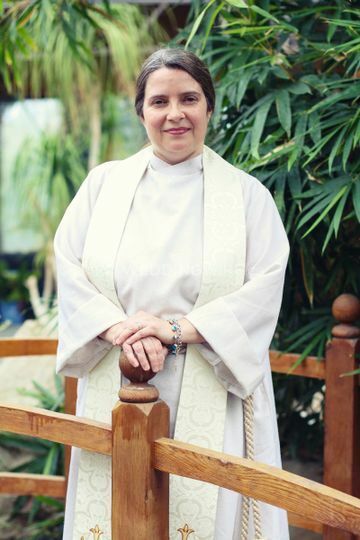 Dr. Tracy L. Cox has been part of a highly spiritual family throughout her entire life, so it was a natural step for her to become an Ordained Minister. She has received her Doctoral degree in Divinity, with a focus on Pastoral Counselling. 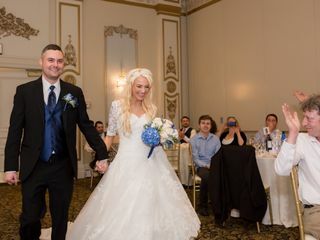 Winner of the 2015 and 2016 Wedding Wire Couple's Choice Award! 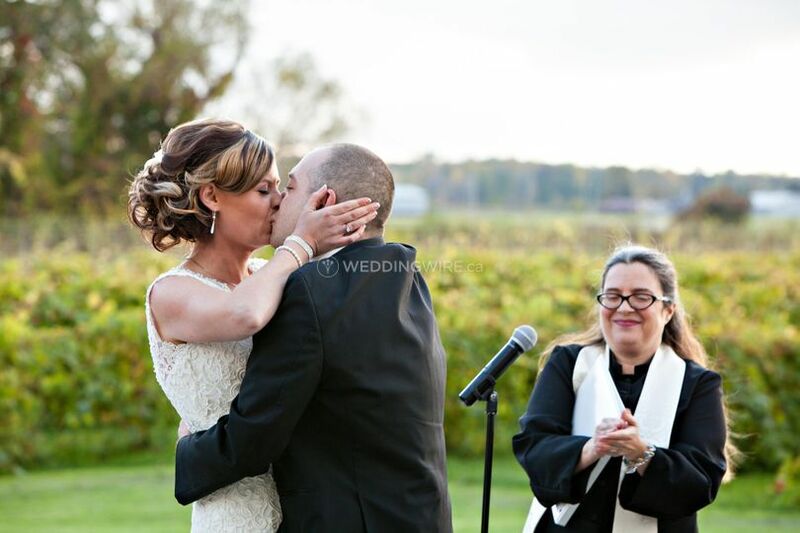 We were so happy to have Tracey be apart of our ceremony! She was kind, professional and made us feel so comfortable with her. When it came to the big day, she helped cooridinate with the DJ to ensure that everything went smoothly. I can’t thank her enough for all her efforts! Thank you so much for your kind words! What a beautiful venue and day we had, thank you again for the honour. 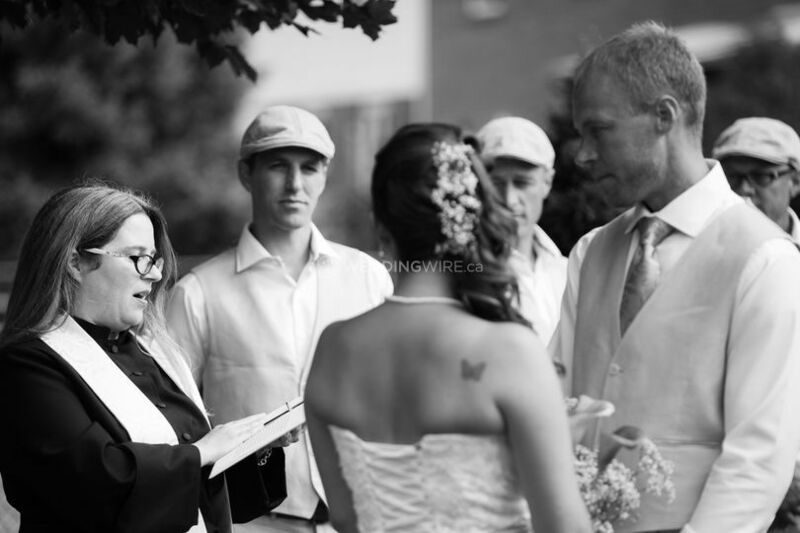 Tracey was an incredible officiant. She met with us early on to understand the type of wedding we wanted (not traditional, but with some structure), checked in for an update closer to the date and then absolutely delivered. Her service was warm, with a reading appropriate for us, and delivered flawlessly. 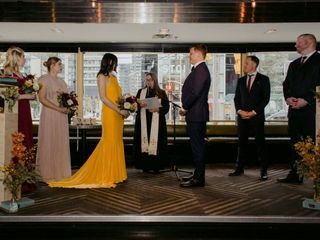 She suggested little additions that really added to the day (like a wine-box ceremony) and incorporated all of our desires as well. We're still ecstatic about how it all went. This was a wedding that was so gorgeous and unique, I will treasure the memory for the rest of my life. Thank you for the honour! Tracy has come highly recommended to me by friends and my wedding venue. When people asked me who i booked, I tell them Tracy and they all light up and say shes amazing. I found that she is well known in the wedding industry which was very reassuring. Our day leading up to the wedding Tracy has answered all my questions in a timely manner and has also offered up some great ideas to customize our ceremony. She arrived on time, dressed and ready. She even came down to my bridal suite prior to the ceremony to come talk to me and wish me congratulations and put me at ease. I definitely recommend Tracy. You cannot go wrong!! Thank you so much for your kind words! We had a gorgeous magical day, and everyone was so lovely. Bless you in your new lives together as husband and wife! Tracey is such a blessing. My husband and I are spiritual people and she delivered everything to us just beautifully start to finish. She is very professional, knowledgeable and organized, but also extremely pleasant and friendly. High recommended! Thank you so much, was so wonderful to meet you and looking forward to lots of great times ahead! What a wonderful, magical Unicorn day we had! Rev. 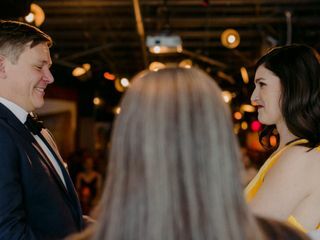 Tracy L. Cox perfectly captured both of our personalities in our ceremony. She also went out of her way to include our 8-year anniversary into our wedding ceremony. She made us both feel very prepared and comfortable during the entire process. I would highly recommend her to be involved in your wedding day! Thanks so much, it was a magical day, and the pictures are just lovely, thank you so much for sharing. 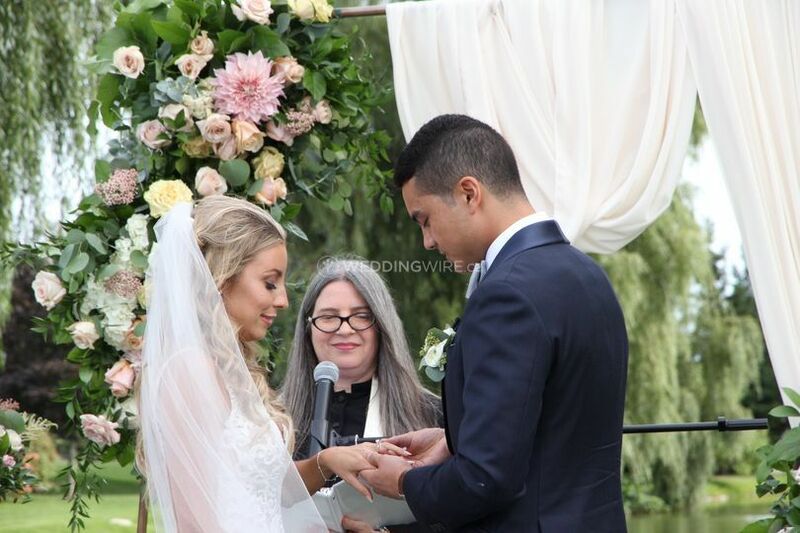 God bless you in your new lives together!